Birthday Time!!! | Cricket Crazy!!! 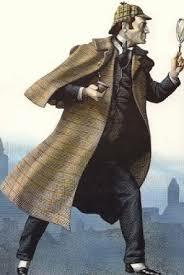 On Jan 6, it was the birthday of Sherlock Holmes. Al most everybody was called at the birthday hall. The famous cricketer Andrew Flintoff was even invited. From the police commissioner to Andrew Flintoff, evrybody was called! There were games from infants to Grandparents. The party went amazing till 12 midnight. The lights suddenly went off. There was absolute silence except someone tripping over something. After a few minutes the lights came back. Andrew flintoff felt his pocket andcouldn’t find his valet. Andrew Flintoof was robbed! Sherlock Holmes rushed outside and saw some robbers running away on bikes. ( Maybe they had robbed the bikes too! ) Sherlock took out his pistol and tried to shoot the robber but instead, it hit the tyre. The robbers lost their balance and crashed right into the police station. Sherlock knew he didn’t have to do anything more. The most interesting thing was that Andrew Flintoff’s valet was returned by courier. This left him the most surprised!!! ← Do we really do well as a citizen of our country ?